Minutes matter in treating stroke patients. 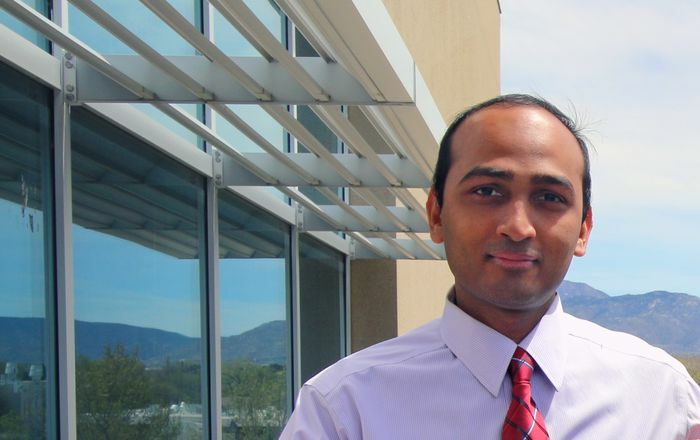 Even 15 minutes can mean the difference between returning to one’s everyday job and activities or being confined permanently to a nursing home, says Atif Zafar, MD, stroke neurologist at the University of New Mexico’s Department of Neurology. 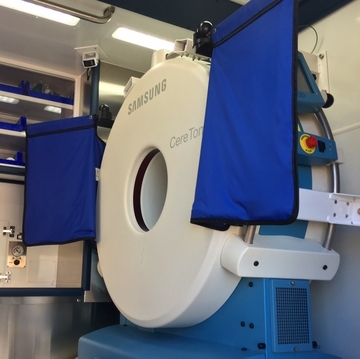 During the past two years, hospitals across the country have begun to sponsor “Mobile Stroke Units” – ambulances customized a portable CAT scanner (Computed Axial Tomography) and medical team trained in providing stroke care. The goal, said Zafar, is to cut down the treatment time needed to provide care. With the ambulance, patients can begin treatment before the patient is transported to the hospital. “Once the ambulance crew puts the patient on a stretcher, they do not move from it. They are taken to the ambulance for a CAT-scan and treatment. Even within the city, it can take double that amount of time to come to an Emergency Department and be transferred into system,” he said. The U.S. Centers for Disease Control lists stroke as the fifth leading cause of death for Americans and estimates that strokes cost the U.S. an estimated $33-million each year in costs of healthcare services, medicines to treat stroke and missed days of work. Research has shown that the stroke ambulance can improve response time and provide better patient outcomes, said Zafar who has worked with stroke ambulance teams in Cleveland. The units are expensive with an initial investment needed of about $1-2 million in the each ambulance. “But each time we save a patient from life in a nursing home, we are saving millions of dollars for the healthcare system and the economy,” he said. The ambulance also allows a patient to be triaged quickly by physicians. "It can be difficult to diagnose a stroke. Being able to triage a patient early means they are sent to the most appropriate hospital. 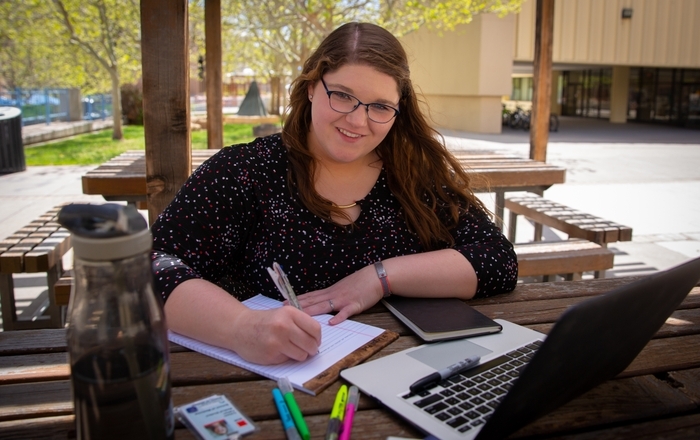 We can make sure the sickest come to UNM first rather than having them transferred later, “he said. As part of the UNM School of Medicine’s Neurology Stroke Awareness Month activities, a mobile stroke unit will be on display at the Bill UNM Hospital Barbara & Bill Richardson Pavilion between 9 a.m.-noon on Friday, March 10. 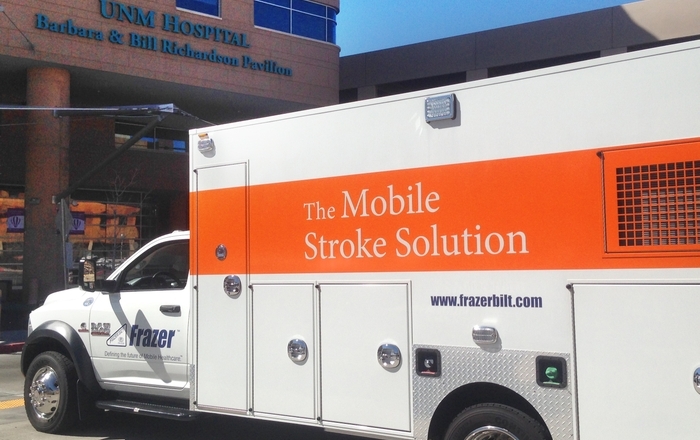 Zafar and James C. Grotta, MD, director of the Mobile Stroke Unit and Stroke Research Program at the University of Texas will be available to explain how the system works. 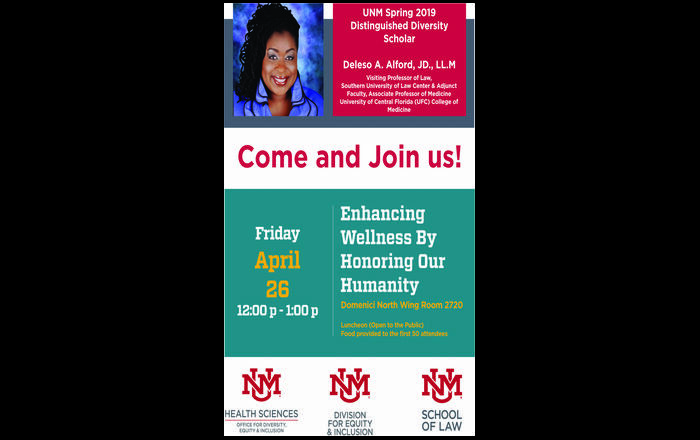 There will also be stroke care educators from the UNM Hospital, American Heart and Stroke Association, EMS Academy, and the UNM Department of Neurosurgery.